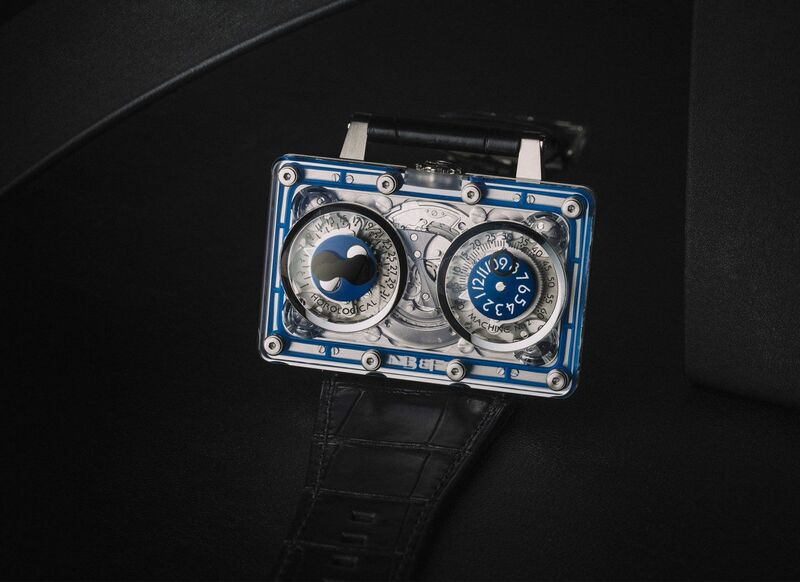 The HM2 SV Blue is a very special limited edition within the HM2 range: “SV” stands for Sapphire Vision and this particular piece was the first of a series of SV editions, which explored the limits of sapphire crystal in case design. 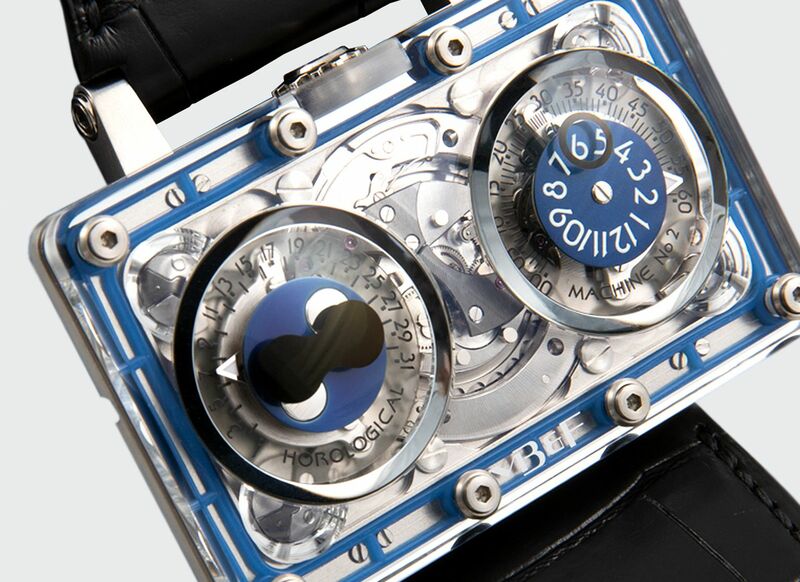 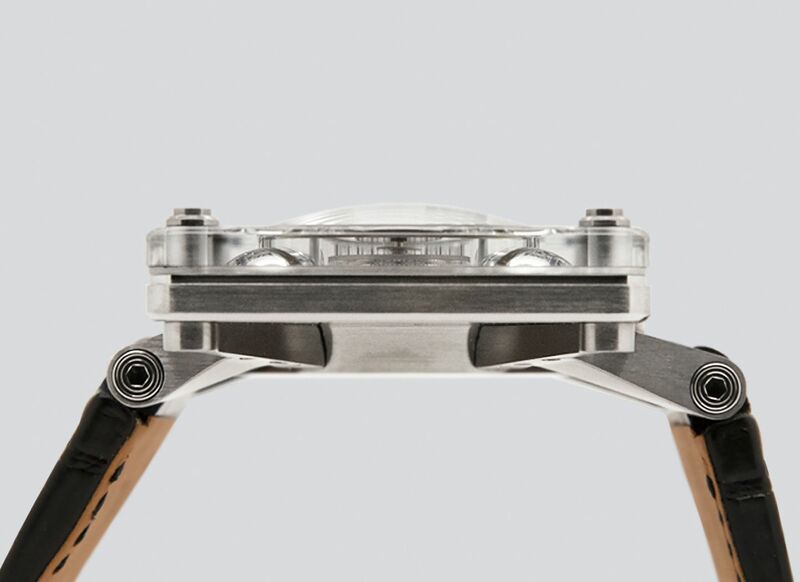 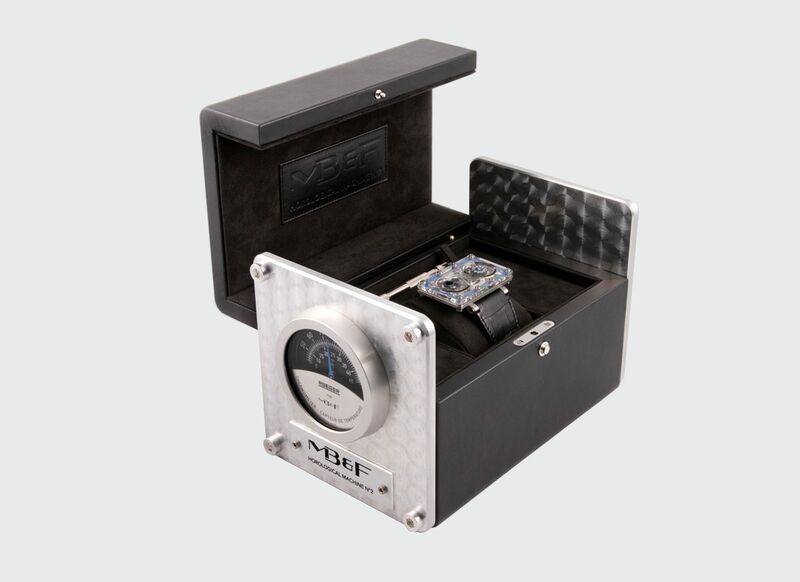 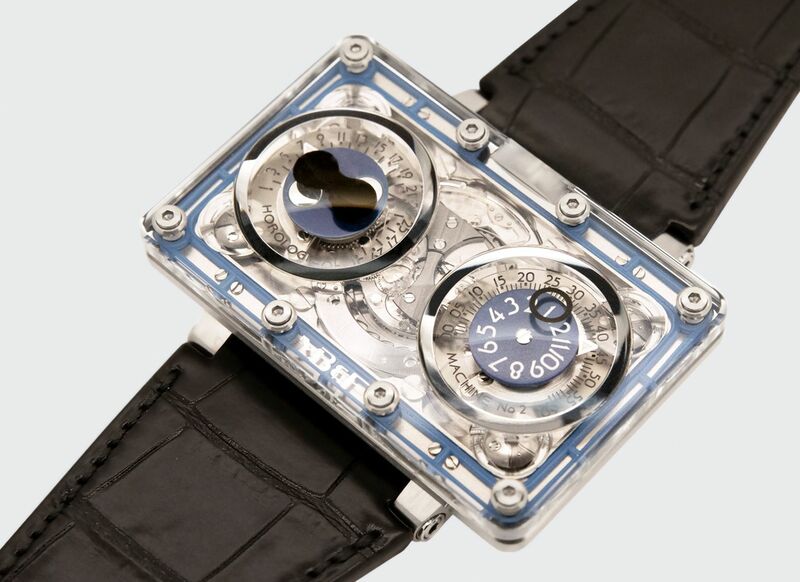 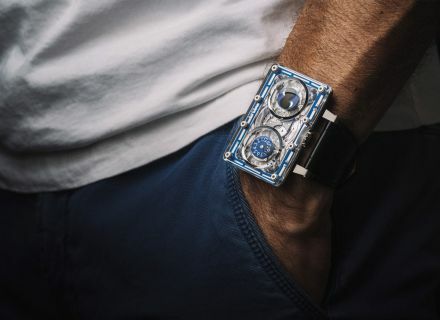 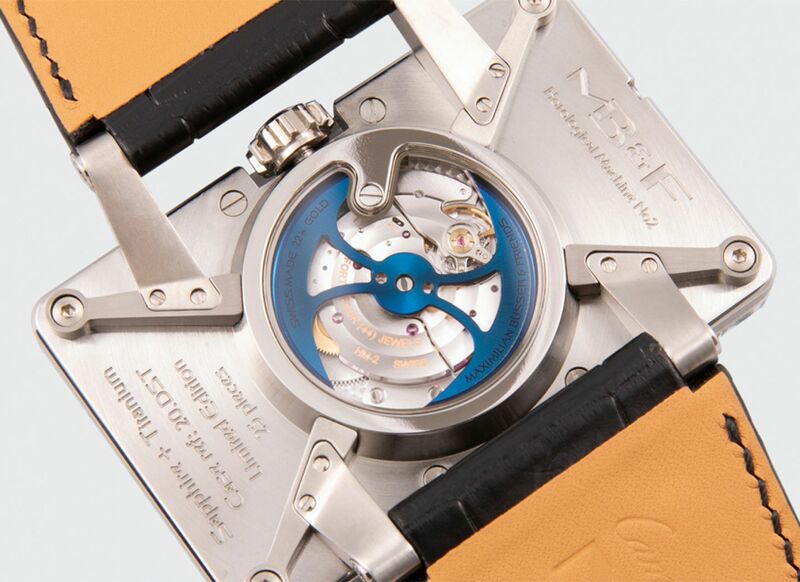 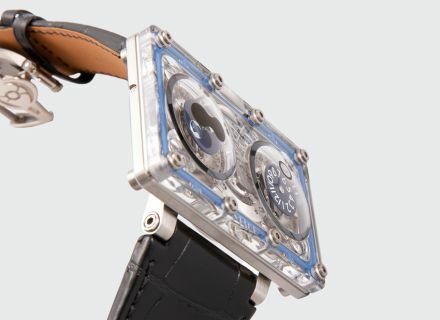 The HM2 SV Blue case is composed of a titanium base topped by sapphire crystal. 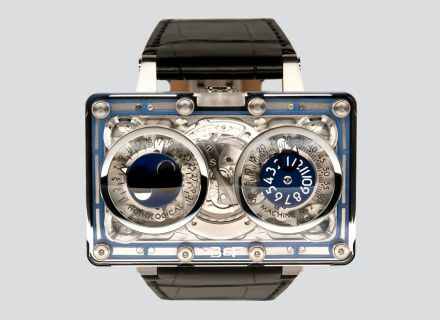 Machining and finishing of sapphire crystal is extremely challenging; many cases were destroyed during the delicate production process. The striking blue outline around the rectangular case is functional: this is in fact the gasket that guarantees water-resistance to 3 atm. 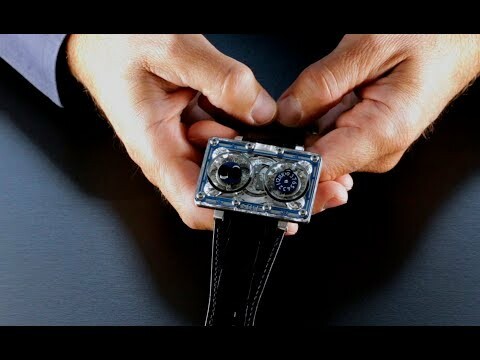 The blue of the gasket matches the blue of the dials as well as the winding rotor of the automatic movement. 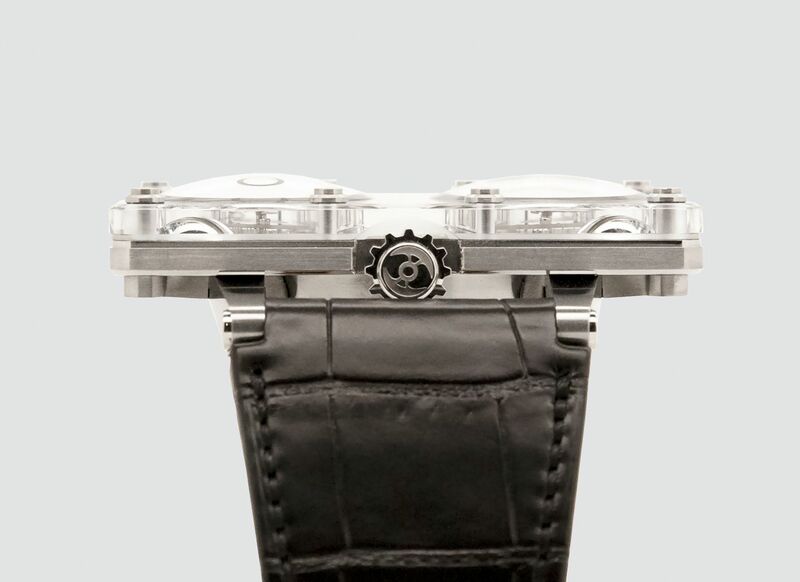 The HM2 movement is one of our most complex in terms of horological complications: on the left dial, “slow time” displays a retrograde date and a bi-hemisphere moon phase. 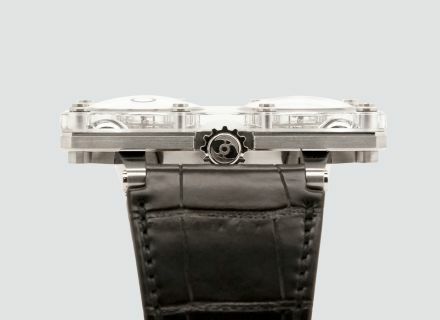 On the right, “immediate” or instantaneous time: jumping hours in the centre, surrounded by retrograde minutes. 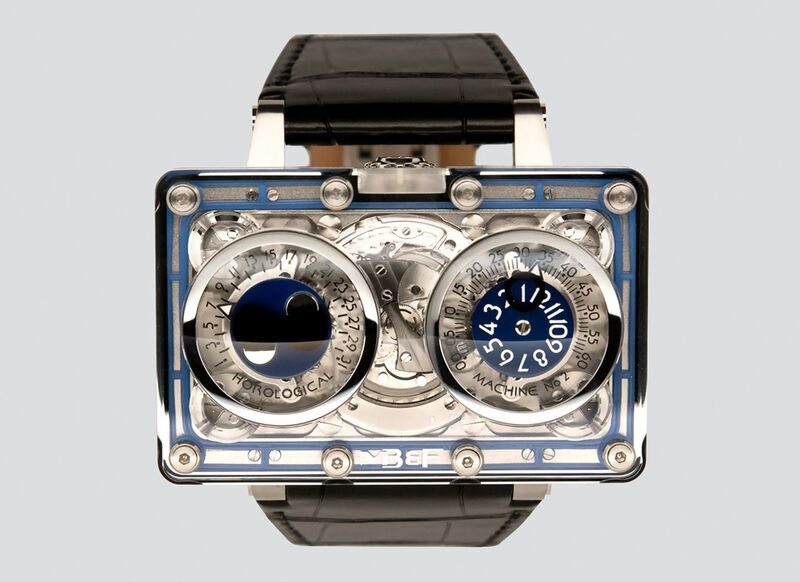 The HM2 SV Blue edition was limited to only 25 pieces. First presented in 2010, it is almost impossible to find today.